Find out how Swedes celebrate Easter, why we eat so many eggs and get the ‘secret’ recipe of Fika’s own herring Silly Susan. In Sweden we love our eggs at Easter. We eat them, we paint them and we fill them with lollies. The history of eating eggs at Easter goes all the way back to the Middle Age. When the long fast finally came to an end, the storage of eggs was overloaded from all the hatching chickens. And now when people could finally eat again, eggs became a big part of their food intake during Easter. In modern time we started to decorate our eggs. A lot of people paint their boiled eggs with water colouring or pens. It can be any kind of motive, whatever your creativity feels for. A little more advanced technique is to make a tiny hole in a raw egg and blow out the egg. And just keep the shell for painting. 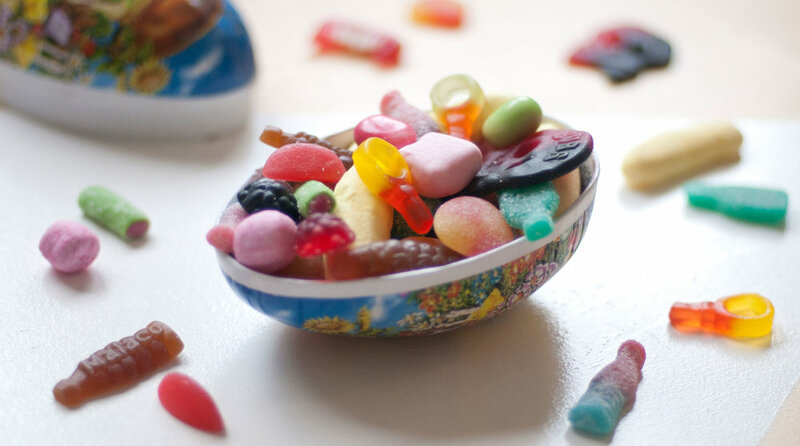 Easter is the time of the year when Swede’s go absolutely crazy about lollies. Up to 6 000 tons of lollies are sold during Easter week. One of the reasons is that we love giving away eggs filled with lollies and chocolate. The eggs can be in different sizes and made out of cardboard, jam-packed with sweets. They get hidden in the garden for kids to search. Having say that, doesn't mean adults are not included in the eggs giveaway. Anyone love a egg filled with lollies for Easter. The little pickled fish called Sill (herring) is the heart of Swedish traditional food. And of course a must over Easter. At Fika we have our own pickled Sill called Silly Susan. A recipe shop owner Sophie’s mum came up with. Her name is Susan and she is an expert in pickling Sill. Every year she tries out new recipes but Silly Susan never gets replaced. She comes back year after year because she is that good. Choose from 4 beautifully crafted Easter Eggs and fill them with your favourite candy. 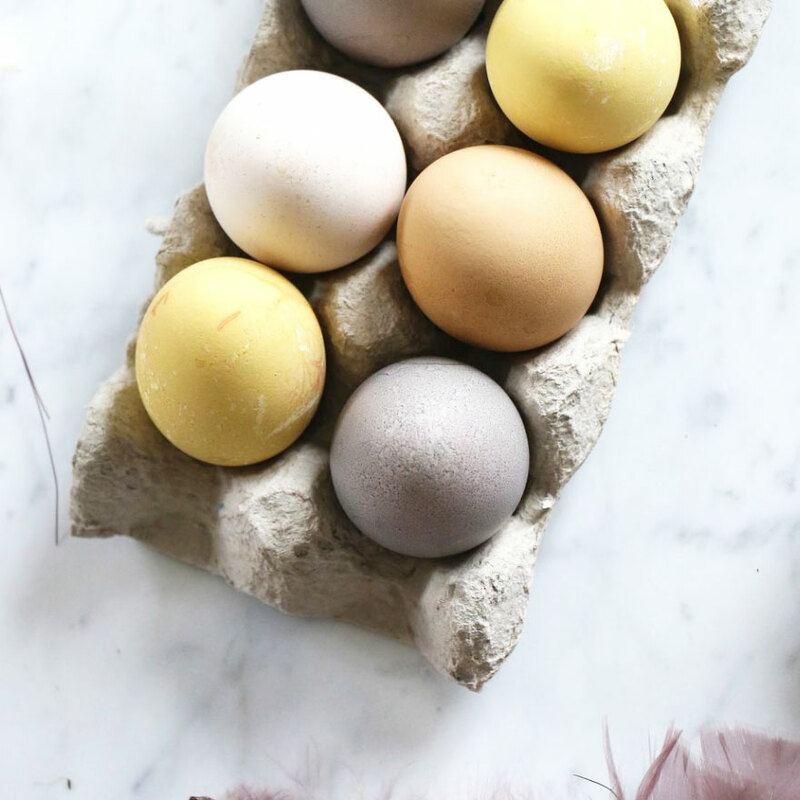 An easy trick to get a fun colour on your eggs is to boil them with different vegetables or spices. For a yellow colour – boil eggs with 1 teaspoon of turmeric. For a blue colour – boil with blueberries or red cabbage. Add 1 tablespoon of vinegar in the boiling water, to make the colour stick better to the eggs. And leave the boiled eggs in the water for at least 1 hour. Good luck with all your prep.